Satisfaction and trust are the main principles of our company. The history of Snaggi begins in 1995 when we began to gather experience in the field of electronic components with emphasis on the LED, LCD and PCB. Through our first-class service and quality products we have gained many customers in the automobile and electrical industries, as well as in the field of telecommunications technologies, illuminated signs (sign making) and architecture. Satisfaction and the resulting confidence in our company are the main principles of our corporate policy. 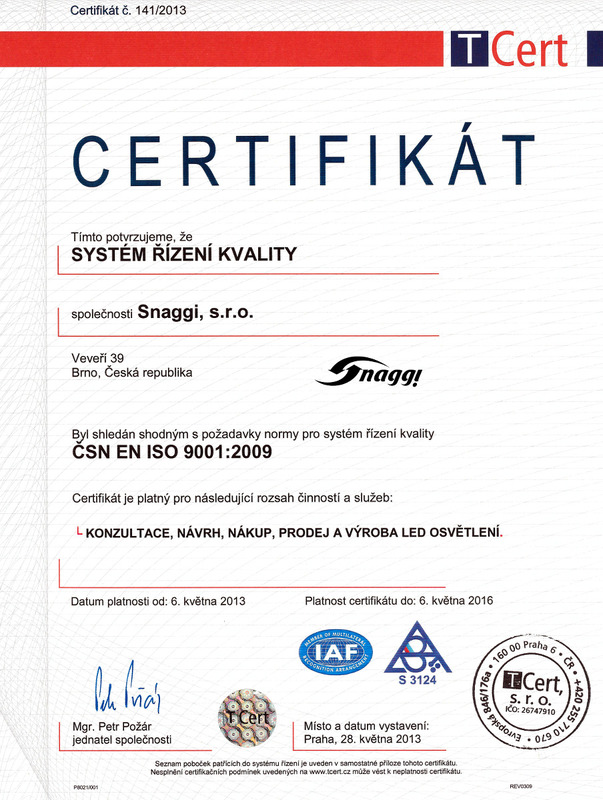 It is also for this reason that we participated in the process of implementing standard ISO 9001, of which we have been a holder since 2007.